As reported previously on ItalianCa,r Abarth have just released a new, entry level version of their hot bambino. 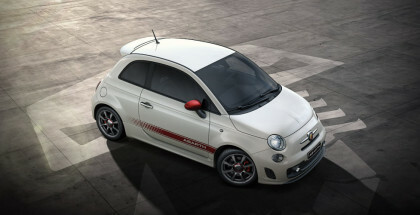 Named simply the Abarth 595 the new pocket rocket will hit the market at $32,130 including on road costs. We were lucky enough to be given the keys of a gorgeous little Circuit Grey example of a couple weeks – this is what we made of it. We’ve driven lots of new Fiat 500s over the years, from the surprisingly sporty Twin Air to the short lived (at least in Australia) diesel. 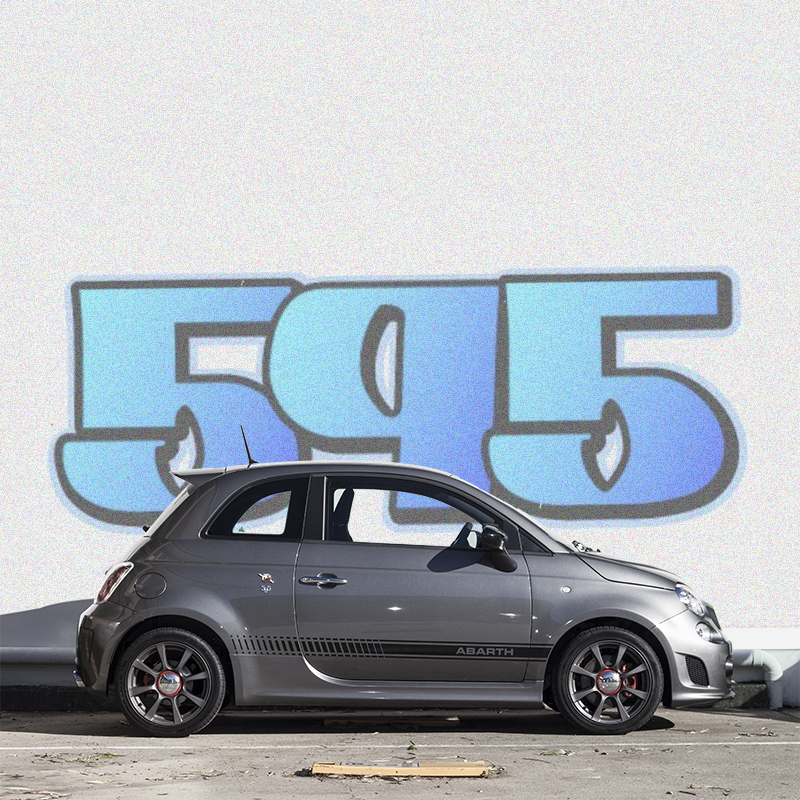 Each has its own character – the Twin Air was particularly endearing – and the same can be said for the latest addition to the Cinquecento family, the 2016 Abarth 595. From the moment we took delivery it won a special place in our hearts. From a style point of view, beefing up the little 500 works really well. Bigger wheels, chunkier spoilers and twin exhaust all add to a very appealing package. 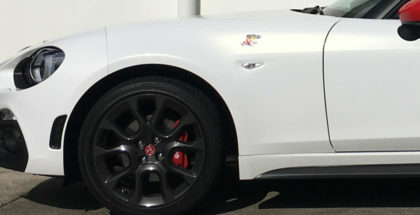 You could argue that Abarth have gone a little too far in the badge department with huge scorpion badges adorning the rear flanks but we’re suckers for links to the tuning company’s illustrious past so we didn’t mind at all. Our test car was fitted with the standard 5EV16 inch alloy wheels in matt charcoal, which are very nice until you see one fitted with the 17 inchers that fill the arches perfectly and really show of the red brake calipers. Inside the car the same 500-on-steriods theme dominates. This is best illustrated by the turbo boost gauge which has been attached to the top of the dash in a deliberate attempt to make the car look hopped up and mean. The seats are a considerable step up from the standard 500 fare but the body coloured dash panel remains – we glad to say. Talking of the dash panel we found the 500 badge confusing: considering FCA are going to great pains to market Abarth as a separate brand to Fiat why not an Abarth 595 badge? 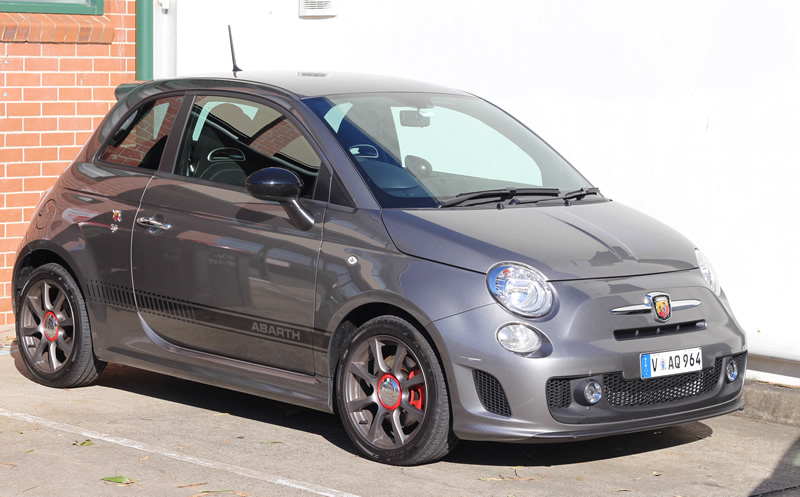 As you would imagine, driving the little Abarth 595 is an absolute hoot. The power delivery is completely different from a normal 500 – it pulls strongly in all gears and the turbo lag, while noticeable, is fun and progressive. To really put a smile on your dial a large button on the dash allows you to select Sport mode – a reminder appears in the middle of the turbo boost gauge. Sport mode increases the engine’s response by upping the turbo pressure from 0.65 bar to a much more interesting 0.8, it also firms up the steering to make the whole car come alive. Once you get used it you can’t ever go back to normal mode as it feels too floaty and soft. As well as having a hoon-tastic power delivery the 595 also handles fantastically well. At first the car feels top heavy – the seat feels like it should be mounted much lower – but as you throw it into corners the body roll is negligible and confidence grows. As with all high powered front wheel drive cars there is an engineering problem to solve: how to get the power down without masses of wheelspin and torque steer. 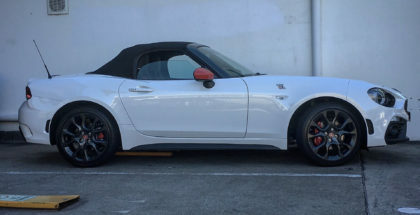 The boffins at Abarth have solved this issue by way of the Torque Transfer Control. It works really well at taming the car’s wild tendencies and especially useful in wet conditions. One of the many features of the tricksy dash display panel is a G meter which tells you how many Gs you are experiencing as you accelerate, brake and corner in the car. This can get quick addictive, not to mention dangerous, as you hurl it around corners with your gaze fixed on the ever increasing read out – -4G, .5G .6G, bit faster, woohoo .9G! I think if the display had a delay and showed the max G for a few seconds after the event it would help. My kids went a step further and suggested that a highest score leaderboard should be added – now that would be dangerous. The whole driving experience is enhanced by the fabulous soundtrack provided by the twin exhausts. There is a lovely burble at idle and a distinctly snarly rasp on the over run. Driving with the windows down – especially through tunnels – is a must. 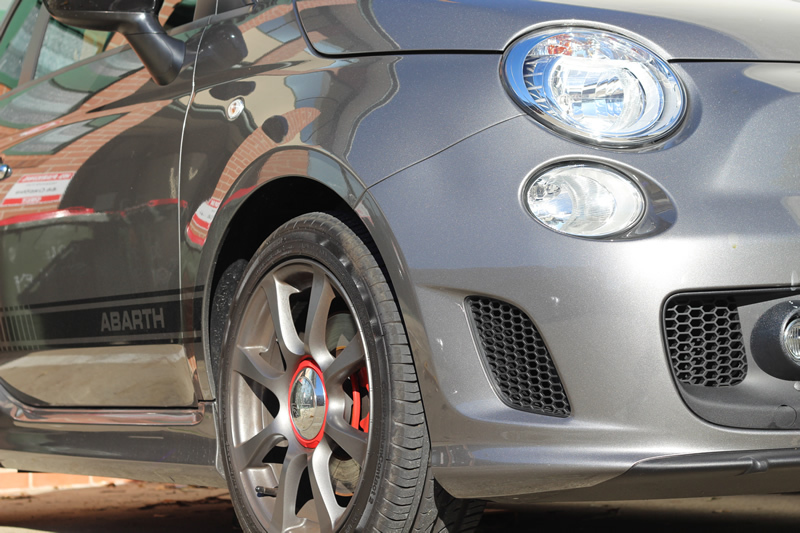 You can probably tell that we loved the little Abarth 595, handing it back was tough. As a fun city car there is nothing that can beat it. Even on the open highway the car is still fun albeit a little tiring on very long runs. We loved the baby-exotic feel to the car, it seems like the sort of car that a wealthy collector would have in their garage to tootle around town – a ‘my other car is a Ferrari’ sticker in the back window would seem entirely appropriate for this car. Minor quibbles include the quality of plastics in the interior and the aforementioned seat height – we just couldn’t get it low enough. The other issue is what else is on the market at the same price these days. 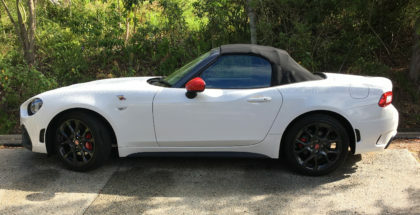 We have never had it so good in terms of inexpensive sports cars and the little Abarth will have it’s work cut out competing against the MX5s and Toyobarus of this world. But would we buy one? In a heartbeat!